“Easy win is not that fun; victory is when you earn a battle overcoming difficulty.” Nothing feels greater than an adventurous win. The new collection of Hot wheels wall tracks gives a seamless way to master the skill of controlling wheels for speed and perfection. Hot Wheel Wall Tracks Roto-Arm Revolution Track Set is a 2013 Mattel production. & a Vehicle. *Safe for Walls with Command Hangers! Wall tracks are exclusive way to increase fun level as the car moves with perfect roll and speed. It’s incredible to play with. If you are looking for some neck to neck competition with your different vehicles, this set up will clearly state which car model is the best. 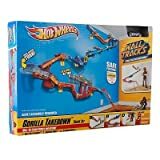 Mattel W6272 Wall Tracks Batman The Dark Knight rises, Power Tower, Mid-Air Madness Booster, Auto Motion Speedway, Booster Set, Sprint Speedway, Gorilla Take Down, Power Loop Tracks, Bungee Racer. These are few of the exclusive trackset. 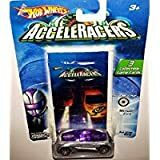 Hot Wheels has always inspired the inner racer in everybody with its fantastic range of cars, bikes trucks, etc. Hot wheels wall tracks are just the perfect addition for a better racing experience.So, when are you getting yours? “Let’s be very clear: its’ Ferrari we are interested in. Drivers change, some are good and some are bad but what remains is Ferrari.” There are very few cars that can be compared to this speed packed style icon vehicle. The unmatchable speed to design and features, it tops in everything. Similarly, when it comes to model toy luxury-car,Hot Wheels Ferrari 458 Italia is top rated. 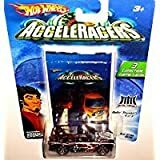 Hottest Ferraris in Hot Wheels style! 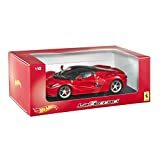 11 6/10 Blue Ferrari 458 Italia 146/244, challenge #12 Matte Black Hot Wheels, HW City 35/250, All Stars 458 Italia #130/247, Faster Than ever Series, Tramp 2016 Die Cast Car. Different models, however, come in different colours. 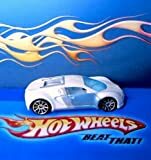 When one talks about the best toy car model maker, Hot Wheels is the first name that strikes in mind. You can now increase your elegance and style with the exclusive Ferrari collection. Show who you are! When we talk about luxury-cars, instantly some names come across our minds. Everyone wants to own a Bugatti. Do you aspire yourself to achieve one someday? Well, to help you reach your goal and remind you of the amazing features of this luxury-car, here is Hot Wheels Bugatti Veyron. 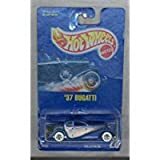 There are some amazing models of Hot Wheels Bugatti like, Bugatti Veyron Fte 1:64 Gold 5 Sp Wheels, Mexico Convention Collectible Die Cast car #3 made only 10 in the world. Others are SIKU Veyron Grand sport, Speed Machine Bugatti Veyron Black/White. Hot Wheels has launched a series of luxury-vehicle that is anexact miniature of the originals. Own your personal Hot Wheels Bugatti Veyron and flaunt your style. Whenever there is a discussion on Superhero, Batman wins over everyone. No inherited superpower, its pure technology and practice that he has. “At its most daring it can feel like a bad turn, but an 180-spin in the batmobile is a Bat Turn.” Experience the same adrenaline rush with your very own Hot Wheels batmobile. 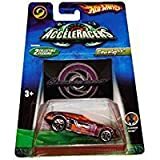 Hot Wheels presents this lovely toy car for kids. It has a free wheel action feature with which kids can race them around. They will get engrossed playing with it and will have a fun play time. It's bright and vibrant color will attract your child's attention and keep them engaged for hours. Batman VS Superman Dawn of Justice Batmobile DieCast Vehicle, Elite One The Dark Knight Trilogy, Bat Mobile Limited Edition Oil Can Car, Elite One The Dark Knight Rises, The Dark Knight Bat-Pod Die Cast Vehicle, Batman The Dark Knight Tumbler vehicle. 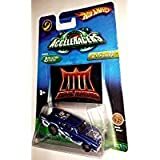 Everyone knows about Hot Wheels and the exclusive car designs they have been producing since 1968. It’s time to boost your power with the latest incredible batmobile Hot Wheels Collection.